A former Moderator of the General Assembly has congratulated pupils for highlighting the Srebrenica genocide during an event to mark Holocaust Memorial Day. Very Rev Dr Lorna Hood, chairwoman of the Scottish board of the Remembering Srebrenica charity, said she was delighted that Braes High School in Polmont near Falkirk had used the atrocity to illustrate the need to “resist hatred and build stronger, safer communities”. Braes High School sixth year pupils, Megan Pullar, Niamh Waddell Kayleigh Graham, helped produce the event. The performance yesterday was the brainchild of Fiona Malcolm, the first classroom teacher in Scotland to visit the site of mass murder in Bosnia on an educational trip. 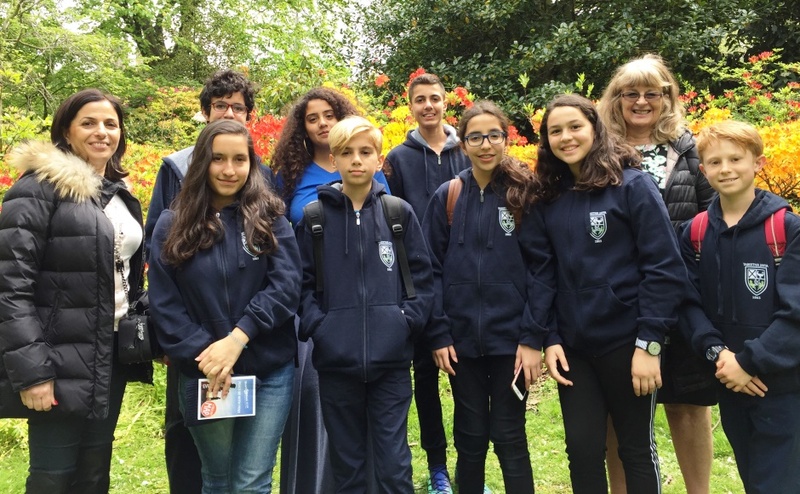 The Faculty Head of Humanities worked with youngsters to shine a light on the atrocity – the worst on European soil since World War Two. More than 8,300 people, mainly Muslim men and boys, were murdered by the Bosnian Serb army in 1995. Ms Malcolm visited Bosnia with the charity and met survivors of the war. She used her experience to help history and drama students highlight the horrors of the genocide, which also saw women and girls raped and abused by Serbian soldiers. The powerful performance by Braes Youth Theatre, which is led by teacher Emma Taylor, featured stories, poems and survivor testimonies. The pupils also focused on the Holocaust, highlighting the story of Church missionary Jane Haining who died in the Auschwitz Birkenau extermination camp after refusing to abandon Jewish girls in her care at the Scottish Mission boarding school in Budapest, Hungary. Former United Nations forensic investigator, Robert McNeil, who helped identify the bodies of people dumped in multiple, mass graves in Srebrenica, was the keynote speaker. He said it was a “very professional and moving” performance and admitted that some of the re-enacted survivor testimonies made him “misty eyed”. Dr Hood, who was made an OBE last year for her service to the Kirk and the charity, said: “I am delighted that Braes High School commemorated Holocaust Memorial Day using materials from Remembering Srebrenica Scotland. “Genocide doesn't happen in a vacuum but is the culmination of unchecked racism and intolerance. “In Srebrenica, people had lived together regardless of their differences. “If genocide could happen there it can happen anywhere. The 10 stages of genocide. Non-Serbs were forced to wear a white armband and Jews had to wear yellow stars. 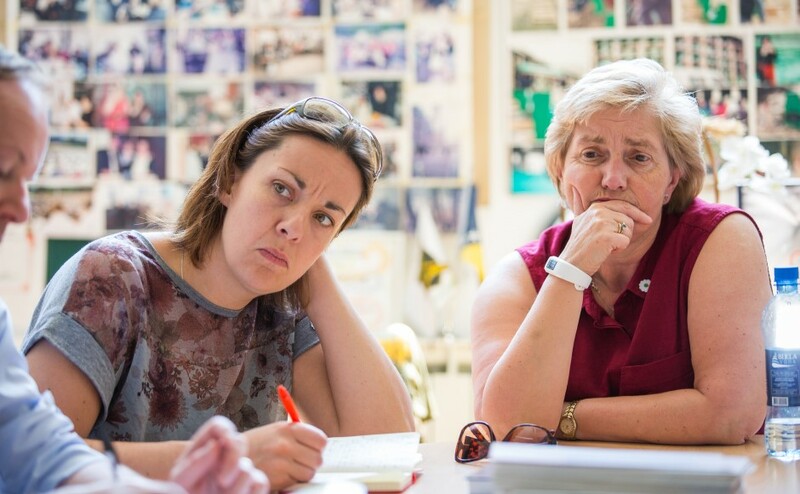 Ms Malcolm, who visited Bosnia last October with a delegation led by Scottish Conservatives leader Ruth Davidson, said the trip had better equipped her to teach the topic in school. “It is incredibly important that young people in Scotland learn about what happened in Srebrenica,” she added. 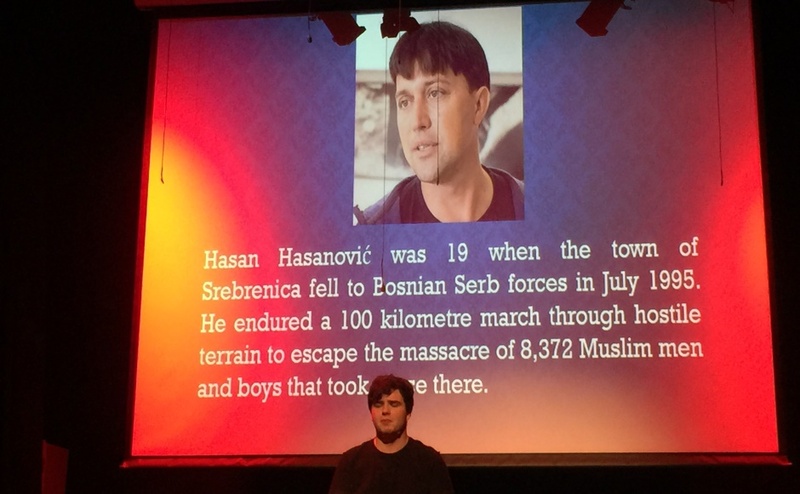 “I was the first classroom teacher from Scotland to visit Bosnia with the charity and what I learned and observed there informed this production. “If I hadn’t have gone, my knowledge of Srebrenica would have continued to have been from sources like books. The 1995 Srebrenica Genocide was the worst atrocity on European soil since World War II. Ms Malcolm, who is helping to refresh the charity’s education programme, said she was incredibly proud of all the pupils involved in the “outstanding” production. Niamh Waddell, one of Brae’s High School’s Rights Respecting Schools ambassadors, said: “It was a privilege to be involved in the event. “Ms Malcom’s knowledge of what happened in Srebrenica and passion for teaching the subject is really inspiring. Miss Waddell said the theme of Holocaust Memorial Day this year was the Power of Words. “One of the testimonies we re-enacted is from a 15-year-old girl called Mirsada, who told of how she was repeatedly raped by soldiers,” said the sixth year pupil. “I found her story particularly shocking and hard-hitting. “That was the worst thing for me, how terribly abused the women were as well as the mass murder of men and boys. 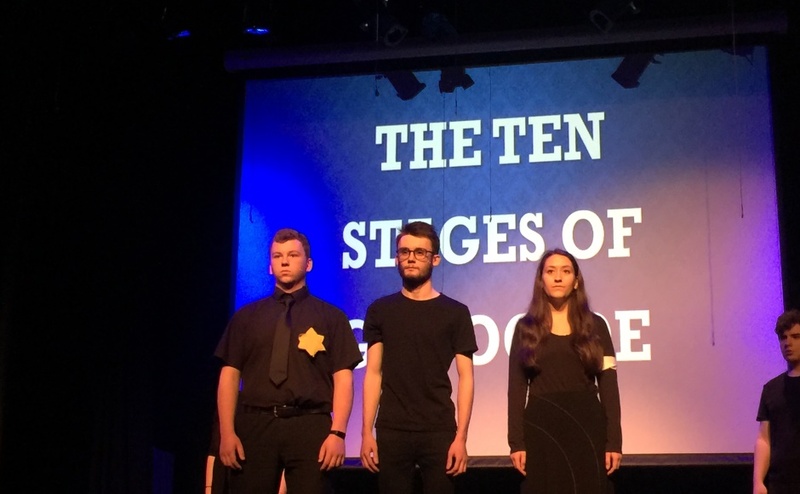 Kayleigh Graham, a Braes High School’s Holocaust Ambassador, said: “The genocide in Srebrenica was shocking and I hope that our production makes the point that it is not acceptable to be hateful or prejudiced against someone because of their religion or race. Re-enactment - testimonies from survivors are heartbreaking. Megan Pullar, a Rights Respecting Schools ambassador, was also involved in co-ordinating the performance. Mr McNeil, who plays a role in the Remembering Srebrenica Scotland charity, said he was very impressed with the production. “It is absolutely fantastic to see young people are learning from the lessons of Srebrenica and putting these lessons across to fellow pupils and their parents,” he added. "I was very moved by the production and some of the poems surrounding Bosnia they recited gave cause for my eyes to mist over at some points. “During the time of the conflict, many folk in this country and other countries, felt it was such a complicated war, that they didn’t quite understand what was going on. “With youngsters being able to fully understand what happened there and passing the information on to their peers is absolutely vital when dealing with genocide denial." Mr McNeil, a former mortuary technician at the Western Infirmary hospital in Glasgow, said his time in Bosnia to identify victims had a profound impact on him. “The cruelty against victims was jaw dropping, it took a long time to understand it and I had bad dreams. “I spent 40 years dealing with death with no effects. Fiona Malcolm and Robert McNeil. Dr Hood is the former minister of Renfrew North Parish Church. She said: “Over the last three years almost 60 individuals from Scotland including First Minister Nicola Sturgeon, Miss Davidson and Labour MSP Kezia Dugdale have visited Srebrenica. "They have heard first hand from survivors of the genocide and the terrible atrocities that were perpetrated against young girls and women. 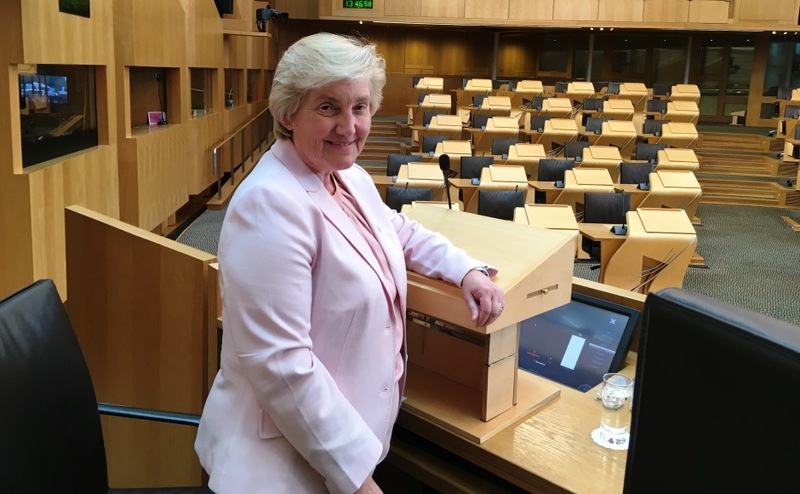 “A number of those delegates such as Fiona Malcolm are involved in education and are helping our Board develop and update the Remember Srebrenica education programme with particular relevance to the Scottish education system.